Welcome to "Bumps, bruises and dings". This section provides overviews of a variety of repairs that we perform as a result of bumps, bruises, dings, and beyond... 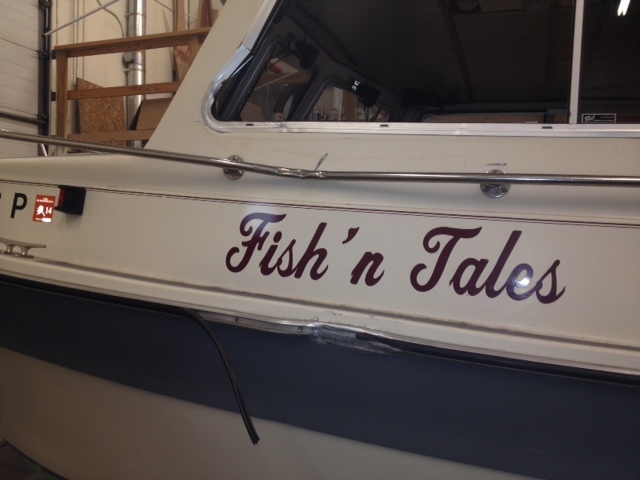 If you want to see some painting as a result of a "bump and bruise", go to Topsides Painting.A Kingfisher entered the surf zone and Joel did the repaint after the repairs were complete. This Sea Sport is from the 90's era and it had some soft spots in the cockpit deck, particularly along the forward starboard side of the cockpit. Once opened up, you can see that there was a fair amount of rot in this portion of the deck from water intrusion. That area was "demo'd", new structure was added, epoxy encapsulated, and glassed. The entire cockpit was prepped and primed for new nonskid and the nonskid paint was applied. 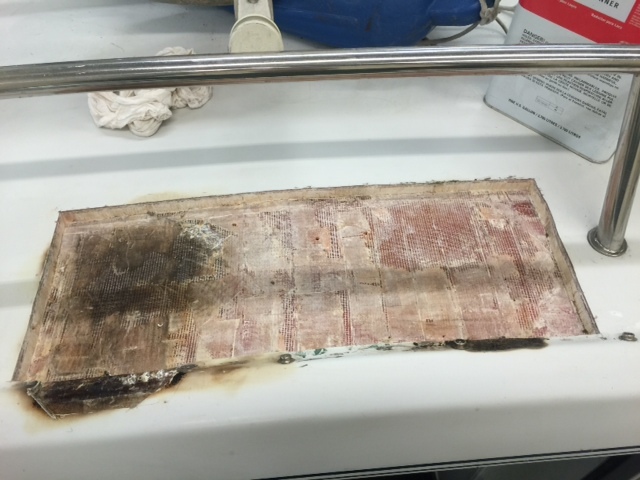 Sea Sport Pilothouse 27: Don't put citronella candles on your deck! 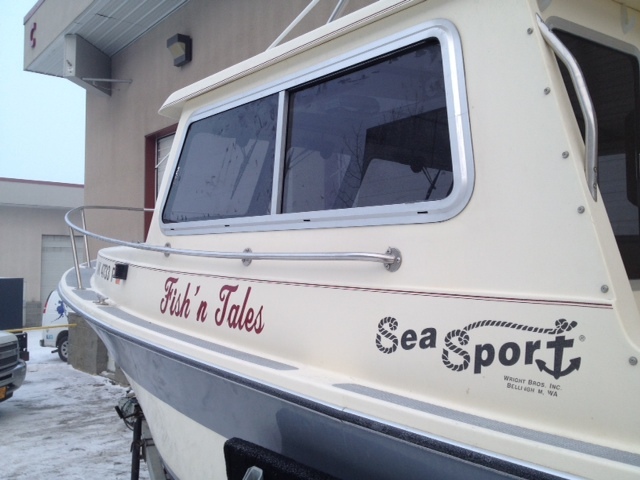 Sea Sport 22: "You can't even tell it was hit"
That is a quote from the owner of this boat following the work we did after they were blindsided on the port side by another vessel as he and his guests were heading out for a fishing trip on Resurrection Bay in his "new to him" cruiser. It is amazing the damage was not more severe. Fortunately, no one was sitting in the co-helm seat at the time and no one, in either vessel, was injured. Allstate was the insurer who covered the repairs. Repairs included fixing the fiberglass damage and regelcoating, a new rubrail for the port side, a new stainless rail for the port side, and a new AJR window with screen. 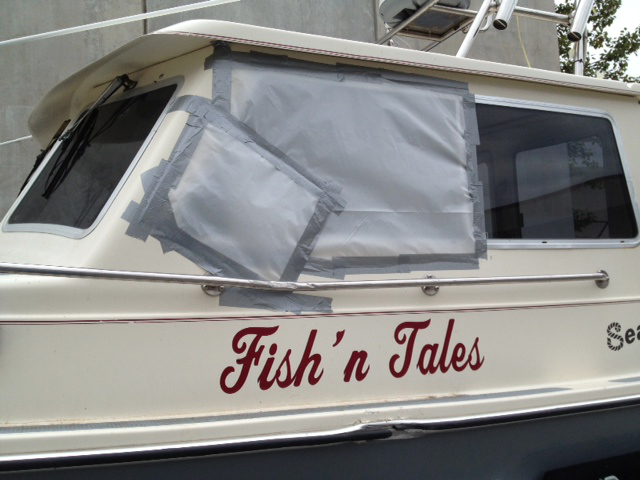 While the boat was with us, he also had some other work done on his own, including new bottom paint and the installation of port and starboard cockpit bilge pumps to addres the problem of seawater backwashing through the scuppers when anchored up for fishing. 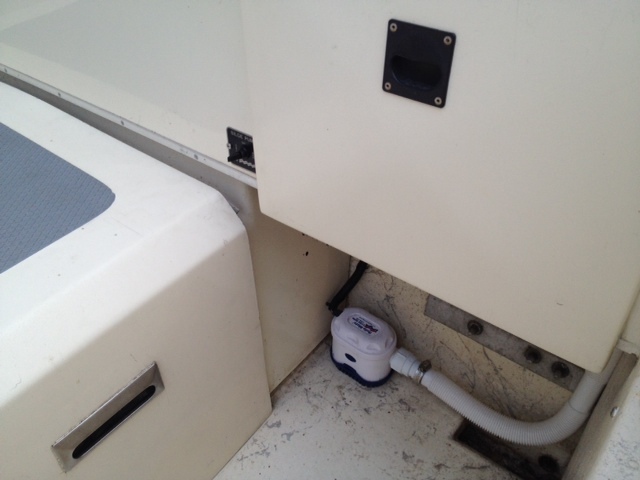 The scuppers sit below the waterline when folks are on the aft deck fishing and rather than plug and move the scuppers, we and the owner decided to try this as a solution. 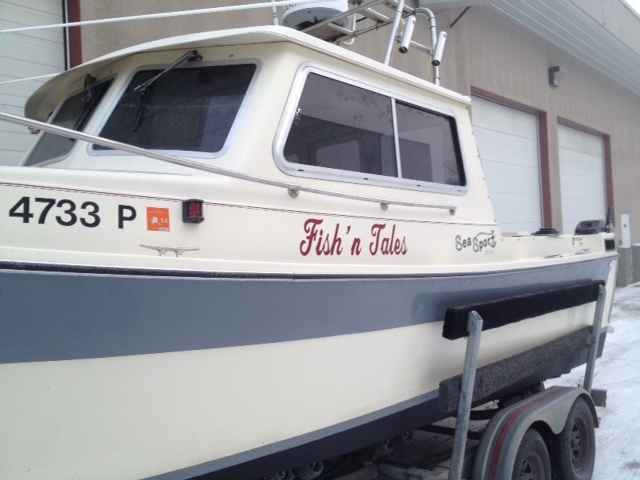 This Ranger Tug had a steering failure while docking, causing damage to the fiberglass and underlying composite structure. The steering failure was a warranty issue, among other warranty items that needed attention, for which Ranger contracted with us to repair. 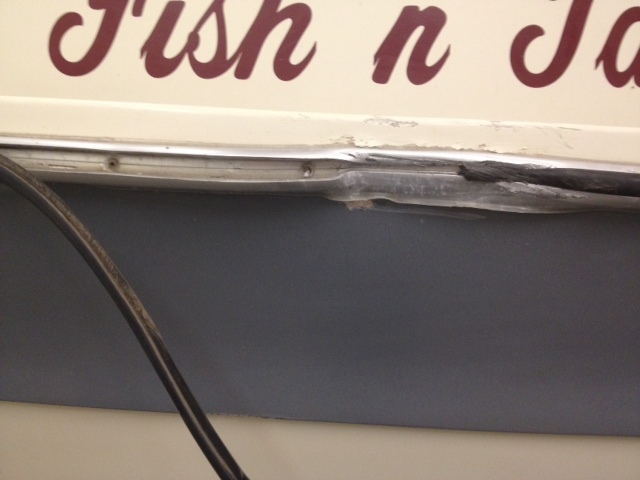 Here are before and after pictures of the repair. 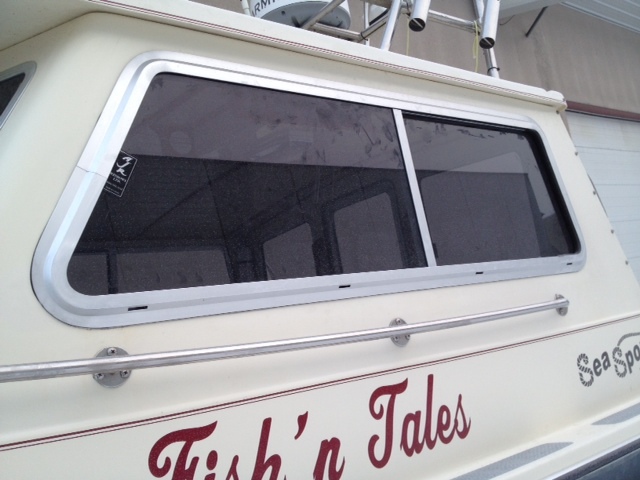 In the photos above, you can see the fracture and dock rash that occurred due to the impact. 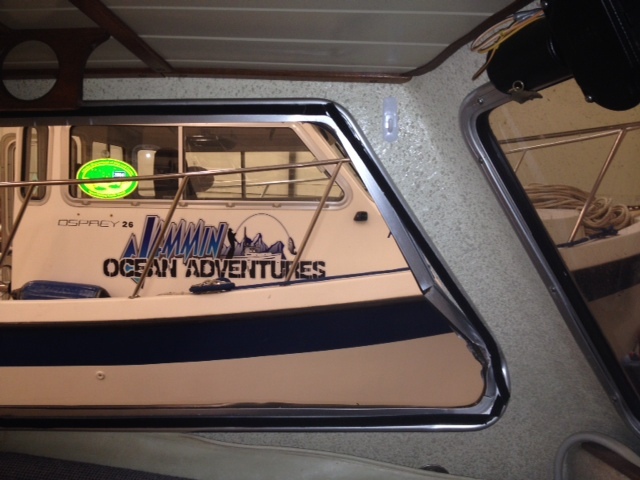 In the middle picture, the repair completed, and on the far right-repair completed with new factory decals installed. 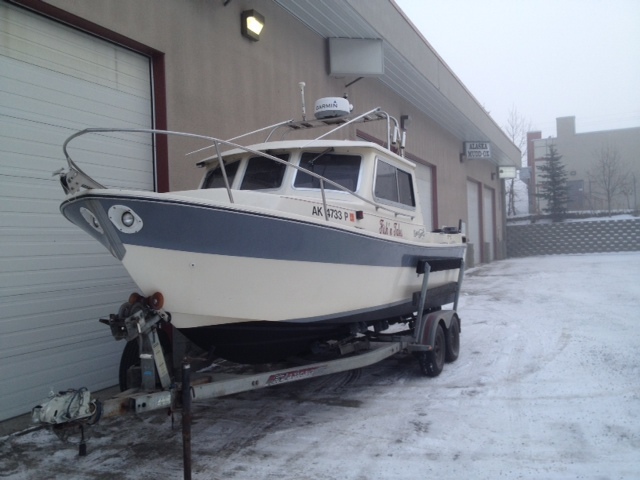 This 22' C-Dory came into our shop for damage repair to two areas. 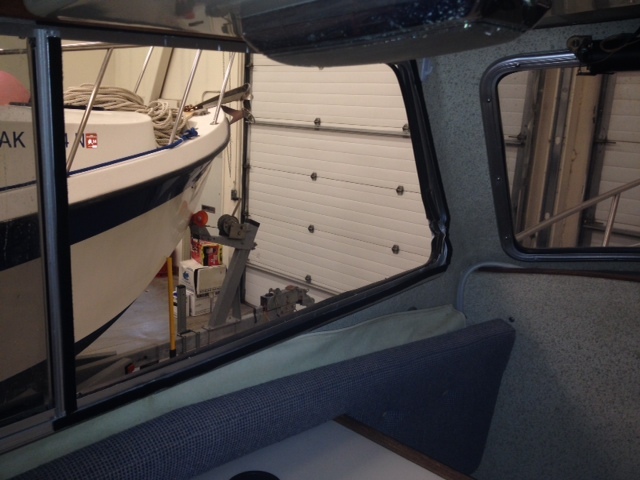 The bow was damaged by the anchor during retreival and the stern quarter on the port side received damage from the trailer tie down strap while the boat was being trailered. 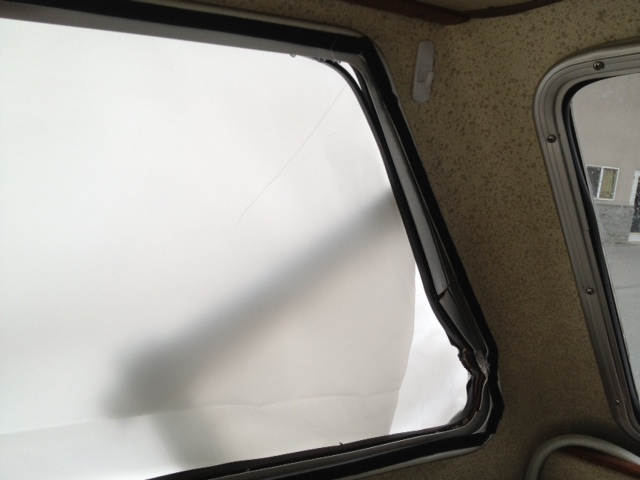 The left picture above is a close-up of the hole caused by the tiedown strap while trailering; the picture on the right is post-repair.